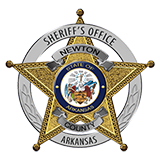 On October 23rd, 2015 the Newton County Sheriff’s Office received a call from an area school in reference to a student they were concerned about. The school believed the juvenile female was at a residence at Mockingbird Hill and was using dangerous drugs, either on her own accord, or because of the adults she was around. She had also missed a great deal of school. Deputies went to the old Mockingbird Motel to attempt to locate the girl. Upon law enforcement’s arrival, two people fled out the back door. Mildred Hicks, aged 42 was immediately apprehended and taken into custody. The second suspect, Abraham Campbell, aged 31, initially got away, but later turned himself in at the Sheriff’s Office. Both were charged with Misdemeanor Fleeing on Foot. The endangered juvenile was not located, but information received led deputies to believe she would be at another house on the same property later that day. Deputies returned to the area later in the evening and went to a rent house located behind and adjacent to the motel. Upon their arrival Steven L. “Stevie” Vanerpool, aged 53 fled the residence but was quickly apprehended. Vanderpool was wanted for a probation violation. When officers checked Vanderpool, it was discovered he was concealing methamphetamine, various pills and drug paraphernalia. A follow up search of Vanderpool’s vehicle revealed various firearms, which Vanderpool is excluded from having due to his status as a convicted Felon. Vanderpool was charged with Parole Violation, Possession of a Schedule II Controlled Subtance (Methamphetamine,) Possession of Methamphetamine with Intent to Deliver, Possession of a Schedule II Controlled Substance (not Methamphetamine), Possession of Drug Paraphernalia, Simultaneous Possession of Drugs and Firearms, Possession of Firearms by Certain Persons (Felon), Fleeing on Foot and Being a Habitual Offender. Vanderpool was booked into the Newton County Jail with no bond.